Your iPhone that is running iOS 8 has a feature called the Control Center. You can open the Control Center by swiping up from the bottom of the screen. This provides a convenient location for you to perform many functions, such as enabling or disabling Wi-Fi and Bluetooth, or activating AirPlay. You can even access the iPhone flashlight, calculator and camera functions from the Control Center. When all of the options for the Control Center are turned on, you can bring up the Control Center from within apps, or from the lock screen. But you might find that you are opening the Control Center by accident, or that you never try to use it while you have an app open. 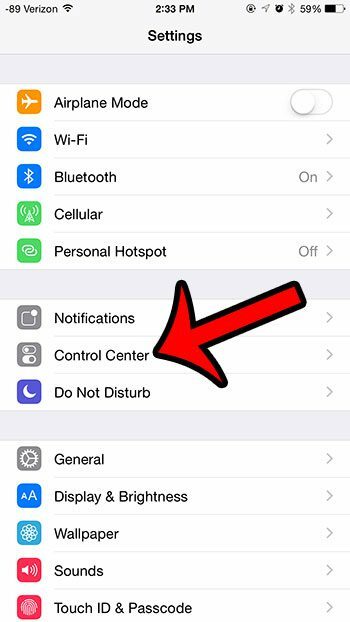 If that is the case, then you may wish to turn off the option that allows the Control Center to be opened from within an app. 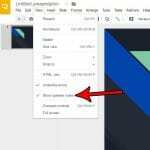 Our guide below will show you where to find this setting so that you can disable it. The steps in this article were performed using an iPhone 6 Plus, in iOS 8.3. These same steps will work for other models of iPhones running this same operating system, as well as iPhones that use iOS versions of 8.0 or higher. Select the Control Center option. Tap the button to the right of Access Within Apps to turn it off. 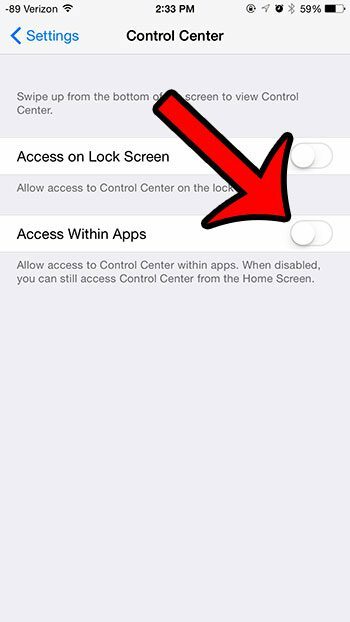 Step 3: Tap the button to the right of Access Within Apps to turn it off. You will know that the setting is disabled when there is no green shading around the button. 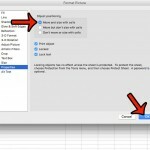 For example, this setting is turned off in the image below. 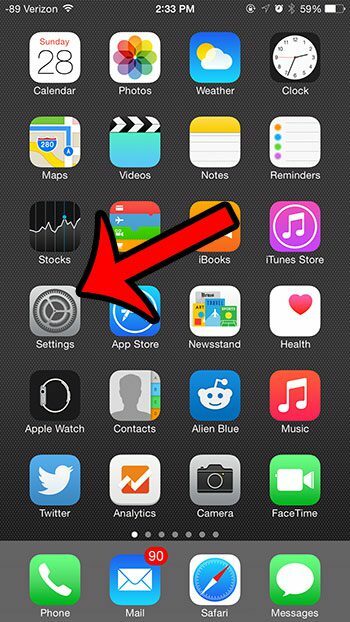 Do you find that your iPhone screen isn’t rotating when you turn it sideways? This may be because you have enabled the portrait orientation lock. 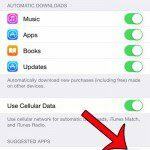 This article will show you how to turn off this lock so that you can use your iPhone in landscape mode.